The date of June 28th was like a line drawn in the sand for Verizon customers. That was the deadline for Verizon customers to switch to a new phone and be allowed to keep an unlimited data plan. So for those who pre-ordered the Samsung Galaxy S III on June 27th or earlier, they should see no change in their plan. That was the theory, anyway. It turns out that some of Big Red's customers were sent letters telling them that they no longer had unlimited data and were automatically given a new tiered data plan. 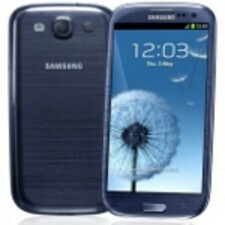 Lose your unlimited data when you pre-ordered the Samsung Galaxy S III? 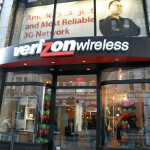 This is more than just an isolated case and a few Verizon customers have been involved. Some have said that they were told on the phone by Verizon representatives that the unlimited plans are no longer available and that they would have to switch to a tiered plan. Some were told by the carrier that before straightening out the problem, an "inactive pricing request" submission would have to be made requiring numerous callbacks for updates. While Verizon said on Monday that they will honor their original statement and those who purchased the Samsung Galaxy S III prior to June 28th will get to keep their unlimited data plan, we would suggest double checking to make sure that you are still rockin' an unlimited plan if that is what you wanted. If you were mistakenly switched to a tiered data plan, get on the phone right away before your new tiered plan sticks. Unlimited data is dead like the dodo and RIM. Are you rooting for tiered data? Stating the obvious is not rooting. Otterbox, why are you even on this article? To comment on the article. 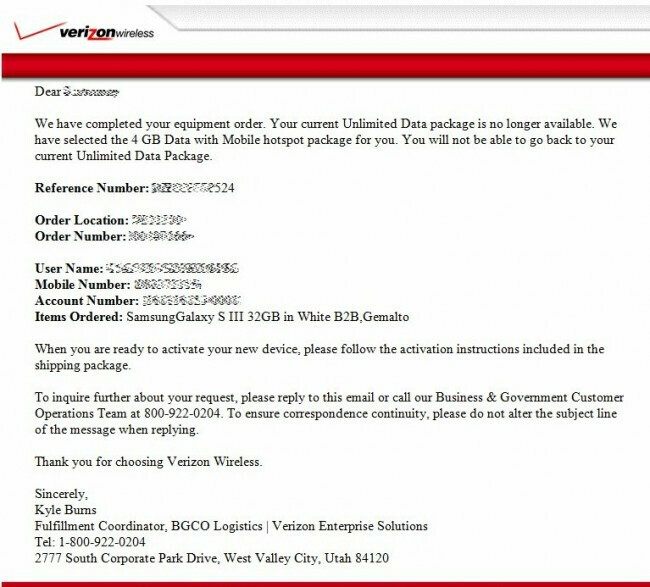 Verizon Galaxy S3 is 2 weeks behind Tmo. I got the T-Mobile version and it's stunning. Just simply stunning. You would have to be an idiot to pick an iPhone over this. I took my SGS3 and held it over the iphone 4S and my screen was bigger than the entire iphone itself. I don't care if it isnt as easy to hold with one hand or use. The screen size for web browsing and watching videos kills it completely. One of the biggest reasons why I love this device. It's litterally not much taller than the DROID RAZR, it's a really nice device all around. Couldn't agree more! I actually returned the razr because it was too wide/big for me to use one handed... and I'm a fairly big guy. Because of hownthe built this, it fits great in my hand or my wife's smaller one. And we're both coming from iPhones most recently. And the screen is justplain impressive. Vibrant colors that make our iPhones feel really old. And outdated. Obviously we're quite pleased with them so far so now wellwjust see about battery life ;) over our first full day tomorrow. Why would someone be an idiot for choosing a good phone? They wouldn't. Buy what's best for you. The idiots are the ones, like my sister-in-law, who buy it "because its an iPhone." Or who won't even look at another phone "because its not an iPhone." I actually had that conversation with her when I suggested she try another phone when she was complaining about her iPhone constantly dropping calls. They'll never make me get rid of my unlimited data. I'll be upgrading at full price from now on. Completely worth it for me, considering I use about 10 GB a month. Eventually, they will get you off it. At some point, the phones they offer will be deemed incompatible with the plans. Got my pre-order on Friday. Activated and kept unlimited without a hitch. I really love this phone. Anyone worried that you can't handle the size (that's what she said /MichaelScott) owes it to themselves to just handle one. It really is a delight to use. It was an "accident." I just have a feeling they did this on purpose. A conspiracy to nab everyone who wasnt paying attention. It happened to me. I had preordered it and took screen captures showing on my receipt and my contract that it was still unlimited "Web and Data" as they put it just because I feared something like this would happen. I called right away after realizing I had been switched over to the 2GB. At first they tried telling me it was supposed to happen and 4G Unlimited was not that same as Unlimited data or some bs like that, then when I basically had to prove that I knew what I was talking about in tech lingo and they changed it back. Really annoying, but at least I have Unlimited 4G LTE. I ordered the S3 strictly to keep my unlimited plan. Does anyone know how soon I will need to activate the phone (or any other 4G phone) in order to keep that unlimited plan? I am not quite sure I'm ready/willing to carry a phone of this size, and I am considering just selling the thing and using that money to buy something that really excites me in the future. But if I don't activate a 4G phone under my new 4G plan (I'm currently wielding an iPhone), will I lose the unlimited plan? I'm completely willing to renew the contract, I am just not in a hurry to switch phones. Any guidance would be appreciated. Thanks. @MCurry01 You will need to activate it to agree to your new contract. If you don't activate within a certain time (I believe it is 14-30 days) they will charge you full price for the phone because it would be a contract-free phone. Any new contract in the future will terminate your unlimited. If you activate and find you don't like it, you can still go back to the iPhone and sell the GS3 while staying under contract. I personally think mine carries very well. I actually was patting my pocket yesterday to make sure my phone was still there. What happened to the people who preordered S3 from BB etc?? Did they get to keep unlimited data, 22-25% corp disc. AND the TT Plus Data $20 per line discount???? That extra $20 x4 lines/mo discount is what kept me from buying for $50 less at BB after the future-now present--$50 price match. I activated my wife's S3 preordered from VZW.com yesterday at a Corp. store and they had problems seeing that I ordered it by June 27th, but I showed them the email. I think, though, that if they had just pushed through the activation with out me asking to make sure that unlimited/corp disc/and talk text plus data $20 would still be there. . .that it would have gone through automatically anyways as I did not get the email/receipt saying unlimited was no longer available.